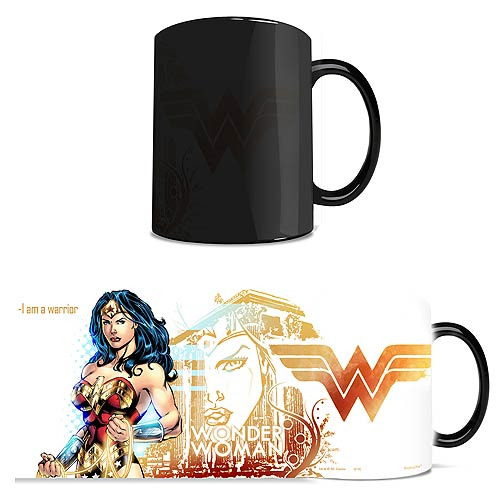 Wonder Woman comes to life on this DC Comics Justice League Wonder Woman Morphing Mug featuring awesome artwork and the words "I am a warrior." The 11-ounce ceramic mug transforms from black to a vivid full-color image when hot liquid is added, and it weighs 1 pound! Hand wash only. Not dishwasher safe. Do not microwave. Ages 12 and up.